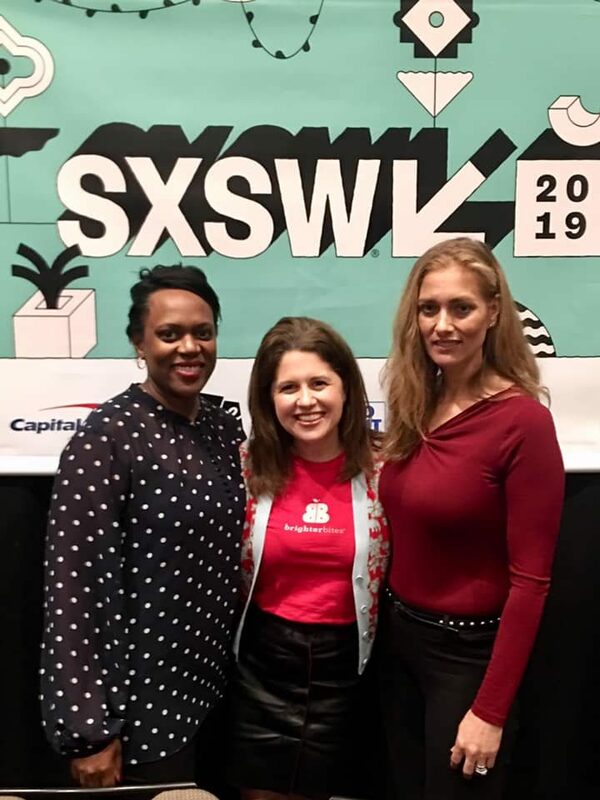 On March 12, Brighter Bites Founder Lisa Helfman joined fellow leaders in the produce and nutrition industries on a SXSW 2019 panel called “Produce Matters.” Lisa and Dr. P.K. Newby discussed the science, community, connection, and health that comprise and come from fresh fruits and vegetables. What a lively hour of conversation along with Q&A from the inspired audience! Special thanks to Lauren Scott of the Produce Marketing Association for moderating the discussion. Pictured (L to R): Lauren Scott, Produce Marketing Association; Lisa Helfman, Brighter Bites; Dr. P.K. Newby.